Download "A Primer on Digital Modulation"
3 An Analog World... Only three fundamental ways to modulate: Amplitude Modulation (AM), Frequency Modulation (FM), Phase Modulation (PM). Any modulation format, whether analog or digital, must use one or more of the above analog schemes. 6 Digital Modulations (DM) Analog modulations continuously variable over amplitude, frequency and/or phase. Digital modulations similar to analog modulations, varying RF amplitude, frequency or phase, BUT The parameters being modulated take on a specific set of waveform states or symbols. VS.
8 Fundamental Tradeoff Analog Modulation simple to create and detect, but is bandwidth inefficient. 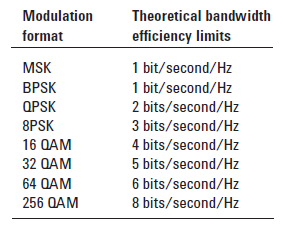 Digital modulation (DM) is more bandwidth and/or power efficient, but more complex to generate and decode. 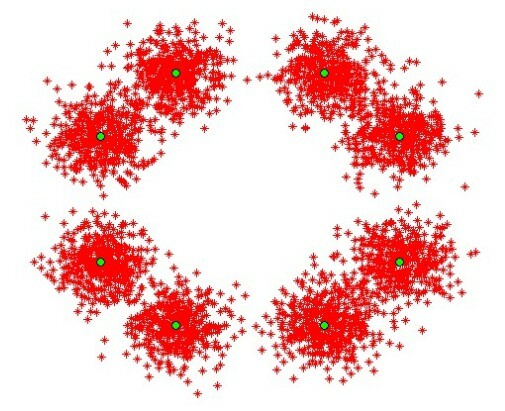 10 Polar Representation Simultaneous magnitude and phase representation. 11 I - Q Representation Rectangular representation of the polar diagram using coordinates (I,Q). Signal vector's projection onto I axis and Q axis. 13 Phase Shift Keying (PSK) Phase of constant amplitude carrier shifted 180 degrees, or 90 degrees. Quadrature-PSK more BW efficient than Bi- PSK. 18 Modulation variations Differential modulation: has bandwidth efficiency advantages QPSK: information is carried by the absolute state DQPSK: information is not carried by the absolute state, it is carried by the transition between states. 19 Modulation variations Constant amplitude modulation: has power efficiency advantages. Can use Class-C stages (non-linear) QPSK: amplitude of carrier varies during transitions, GMSK (GSM): amplitude of the carrier is constant, regardless of the variation in the modulating signal. 21 Orthogonality In the symbol period T, we can use sinusoidal waveforms which have integer number of periods in the T.
Digital Modulation Techniques Evaluation in Distribution Line Carrier system. SC-FDMA for 3GPP LTE uplink. Hong-Jik Kim, Ph. D.